Are you proud to be a dog breeder? Do you consider yourself a gene artist, someone who creates living art and preserves an ancient human tradition? I received a puppy inquiry and in my reply, asked my usual 20 questions about the housing and care of the animal and it's environment as well as their goals for the pup. The response was in all caps, "I DON'T WANT TO BREED". I recalled that her original inquiry asked if I had a dog she could "adopt". It got me thinking about the "anti-breeder" - animal rights climate that we now experience. "I don't adopt my pups, I sell them. They are not rescued. They are planned. They were specifically bred to ensure the best chance for good health, good looks, type, and temperament. All my pups are raised in the house and played with by the whole family until they leave here for a home believed to be exceptional. The adults are shown, hunted, loved and allowed to breed in specific ways after extensive research and health testing. I have many references from satisfied owners. 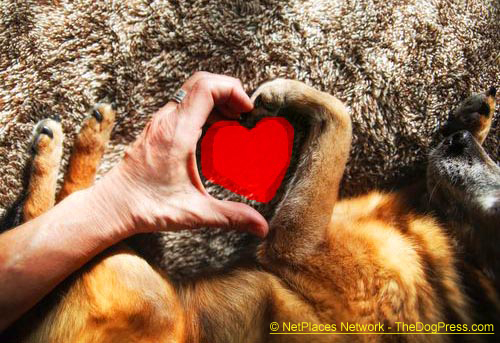 If you love your dog, thank a breeder." I think it is time and past to watch our language and set folks straight about what we do and why we do it. It is time to "rescue" the language affecting our animals and people's perception of animal rights and dog breeders dedicated to purebred dogs. It took 30 years for animal rights to hijack our language and then seek to steam roller us with it. It is time to take it back. I feel it might be productive to brainstorm on ways to project this idea in a positive way. 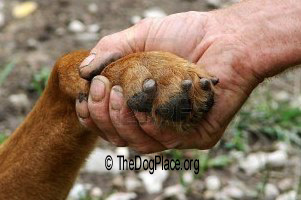 "If you love your dog, thank a breeder" is one. "My dogs are not rescued. They are planned" might be another. We could develop a series of these slogans and ideas to include on our web sites. We might even consider raising money for a billboard campaign. Playing catch up isn't working well. We need to be proactive. Someone suggested we ask, "Did you buy your dog at a shelter?" If a fringe animal rights group can change our culture via language we can take it back the same way. What's sauce for the goose is sauce for the gander. If there is one thing I resent most about the animal rights movement that seeks to victimize animal owners is that they have closed my heart to efforts by welfare groups and rescue. I long for the innocence to believe that welfare has good intentions rather than an agenda riding the back of misery. I see PETA euthanizing animals or throwing them in trash bins. I see HSUS stripping animal owners of their constitutional rights and stealing their beloved animals only to dump them in kill shelters or use them to raise money that does not help the animals. Read 20/20s article on ABC called “Cruelty to Owners”. The events they describe are happening in every state of the union. If animal welfare doesn't clean house I will not be alone in my distain and that would be a tragedy for unwanted animals. Because of HSUS’ legislative efforts in my state, I've been forced to close my doors here - as much as it hurts - to unwanted rescue animals that I could have helped. Animal rights is the single most destructive thing that has happened to animals (and animal welfare) in the history of the world. It's more destructive than disease. 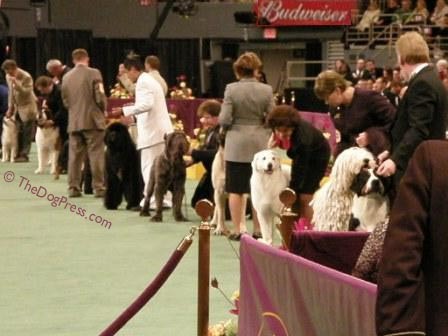 Multi-Group AKC judge on Linebreeding, Inbreeding, Outcrossing and Why. A gentle, prideful reminder of why we do what we do and the people who inspire us. They can lower stress, blood pressure, and their human's heart rate.